Third-graders who struggle with reading would be held back unless they qualify for an exemption under a bill heard by the Education Committee March 7. 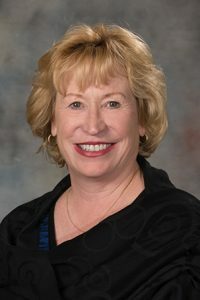 LB651, introduced by Elkhorn Sen. Lou Ann Linehan, would require school districts to offer an accelerated reading intervention program to students in kindergarten through third grade who are identified as having a reading deficiency based on local or statewide assessments. Linehan said many school districts assess students’ reading ability in early grades, but not all do. LB651 is not intended to hold children back, she said, but to ensure that schools identify and help students with reading disabilities at an early age. Under the bill, a student with reading deficiencies would receive an individual reading improvement plan developed by the teacher, principal, other school staff and the student’s parents. Students could be exempted if they score at or above grade level on an alternative standardized reading test or complete a portfolio demonstrating mastery of third grade reading standards. Students with disabilities, students with limited English proficiency and students who had been retained in a previous grade also could be exempted. Christy Hovanetz, senior policy fellow for the Foundation for Excellence in Education, testified in support of the bill. She said the Florida-based foundation has worked with 35 states that have adopted reading policies for students in kindergarten through third grade. Assessment, early parent notification and research-based intervention are key in helping struggling students learn how to read, Hovanetz said. States that implemented a majority of the foundation’s reading policy recommendations have improved their scores on a national assessment, she said, and students who are retained in their current grade to address a reading disability go on to have more confidence in their abilities. Testifying in opposition to the bill was Gina Miller of Omaha. She said the bill would not give parents enough control over whether a child is retained or what intervention services a child receives. Chad Dumas, director of learning for Hastings Public Schools, also testified in opposition to the bill, saying that research shows that retention hurts student achievement. Many schools already take steps to assess and assist students with reading disabilities, he added. “Is it the Legislature’s place to mandate such specific practices for each school? I don’t believe it is,” Dumas said. Dr. Patti Gubbels, a Norfolk Public Schools board member, also testified in opposition to the bill. She said student scores on the state’s third grade reading assessment have improved over the last five years, which is evidence that reading instruction in lower elementary grades is working. Gubbels said LB651 represents a one-size-fits-all approach that does not address variances in how students learn.